Fiennes' casting as the King of Pop in the show upset members of Jackson's family and fans. 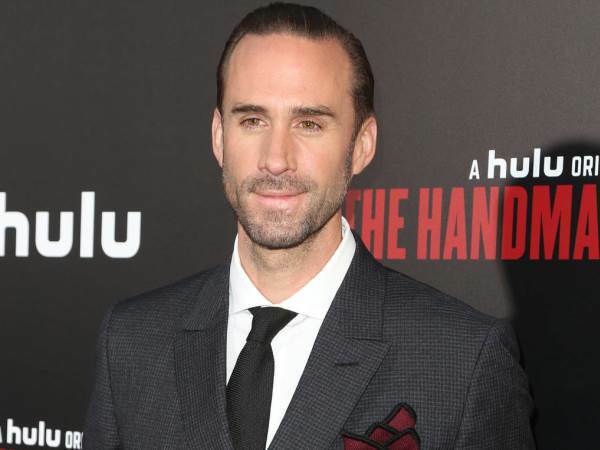 Actor Joseph Fiennes has defended his portrayal of Michael Jackson in the cancelled Urban Myths, insisting the project was no worse than the comedy skits on U.S. TV show Saturday Night Live. Fiennes' casting as the King of Pop in the show upset members of Jackson's family and fans and the Sky Arts programme, which imagined a drive the Thriller singer took with Elizabeth Taylor and Marlon Brando back to Los Angeles from New York City after the 9/11 terrorist attacks, was eventually axed amid growing controversy. But the Shakespeare in Love star insists there was really nothing wrong with the project or his role as Michael. "It’s good that people stand up for (what they believe), and I’m all for that," he tells Vulture. "I’m all for that discussion, and it means a lot to me and my fellow actors to talk about casting, getting it right, getting it wrong, and then if there’s a mistake, to examine that mistake and talk about it. Maybe the controversy is good if it brings about discussion. But it is satire. It’s a 20-minute sketch, and it’s lighthearted." He adds, "It’s funny, because not so long ago, there was an SNL (Saturday Night Live) sketch, where an actress played Michael Jackson and no one batted an eyelid. It’s no less offensive than anything on SNL. That’s the level of offence." And Joseph admits he's happy to sit down with anyone who was opposed to his portrayal of Jackson, and explain why he accepted the role. "If it comes anywhere near that criminal and hateful sensibility, then I’m deeply regretful and embarrassed, but there’s a part of me that would love people to see it and get into a discussion," he tells the publication. "I’d love to sit down and examine that as a subject. "Nobody has seen it, so nobody can even have the full comment because they haven’t witnessed it. It’s all about discussion, and I’m up for having a debate, talking about it, and not shying away from it. If it brings about debate and helps change things for the good, then I’m all for it."